Just wipe it off! Our miracle fabric attracts denture adhesive like a magnet. The Easy Way to Remove Adhesive from Palate, Gums & Dentures! Discover the revolutionary new way to remove denture adhesive. 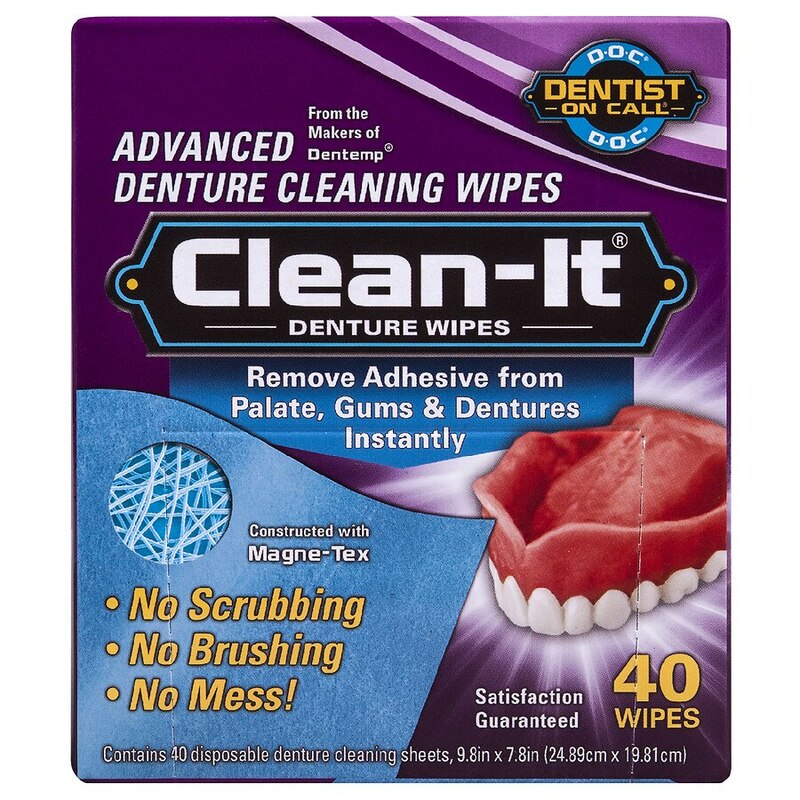 D.O.C.® Clean-It® features our breakthrough "Magne-Tex" adhesive-lifting technology to easily release even the most stubborn adhesive from gums, palata and dentures. Broken dentures? Get Repair-It®! Loose dentures? Get Reline-It®! Do an initial cleaning using a dry wipe then moisten the wipe with water for a final cleaning. © 2013 Majestic Drug Co., Inc.